Да, итальянцы с удовольствием распевали эту песенную балладу. Ornella Vanoni, OMRI (born 22 September 1934 in Milan) is one of the most credited traditional pop singers of Italy. She is known for her sophisticated pop style. Орнелла Ванони (итал. Ornella Vanoni; 22 сентября 1934, Милан) — итальянская певица и актриса, одна из известнейших исполнителиц итальянской лёгкой музыки, чьё творчество охватывает как большой временной период с 1960-х гг. до начала XXI века, так и широкий диапазон жанров от джаза до босса-нова. Благодаря своему неподражаемому голосу и удивительному исполнительскому таланту Орнелла Ванони по праву считается одной из лучших исполнительниц итальянской песни. Великий офицер ордена За заслуги перед Итальянской Республикой (1993). 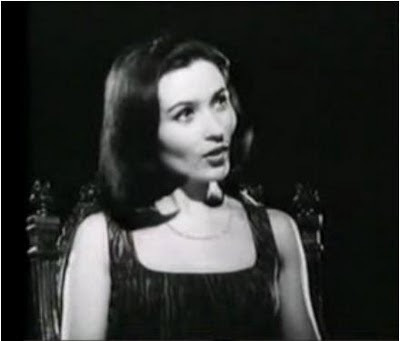 Lara Saint Paul (1973), Silvana Savorelli (b. 1946 in Asmara), professionally known as Lara Saint Paul, is an Italian singer, entertainer, impresario and record producer. Lara Saint Paul's first public performance was in 1962 at the Festival of Sanremo in Italy. She went by the name of Tanya and performed the ballad I Colori Della Felicità. In 1973 year she released an Italian cover version of "Killing Me Softly with His Song," originally composed by Charles Fox and Norman Gimbel, titled "Mi fa morir cantando." Лара Сэинт Паул - Сильвана Саворелли ( 1946 г.р.) - итальянская певица. 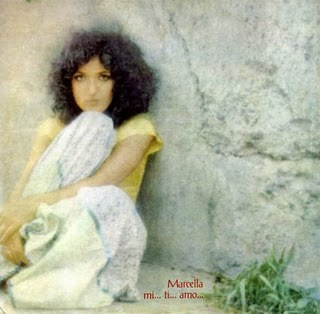 Giuseppa Marcella Bella (born in Catania, June 18, 1952), professionally known as Marcella Bella, is an Italian singer. Her brothers Antonio and Salvatore Bella are famous musicians, and her brother Gianni Bella is another popular singer-songwriter who has composed several songs for her.In 1972, she took part in Festival di Sanremo with the song Montagne verdi, and she participated in more musical events later. 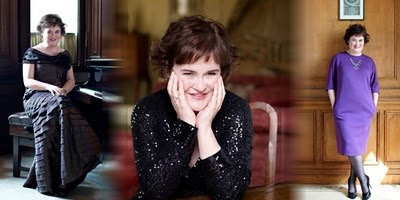 She has sung versions of her songs and original themes in German, English or Spanish. 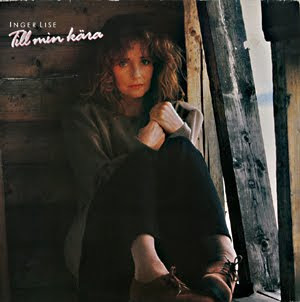 Inger Lise Rypdal (born 14 December 1949 in Lena, Norway) is a Norwegian singer and actress in many different genres: pop, rock, theater, film and musical. Els Himma (sünninimega Els-Reet; sündinud 23. jaanuaril 1940 Tallinnas) on eesti džässilaulja. Els saavutas rahvusvahelise taseme laulmises iseõppimise teel. Els Himma lauljakarjäär algas üsna noorelt.Ta alustas laulmist ansamblis Kevad /1962-71/. Esines Tallinna varietees "Viru" /1973-82/ ja "Tallinn" /1984-88/. Koos Aldo Meristo Trioga esines hotellis "Olympia" /1989-91/. Osalenud muusikafilmides "Vana habe ". Элс Химма - несравненная – знаменитая эстонская певица , знаменитая джазовая прима и солистка таллиннского варьете «Виру». тоже с успехом исполнила эту песню на эстонском языке в 1974 году . Joanna - Brazilian female singer. Джоанна - Бразильская певица исполнила версию этой песни в 1991 году. Antonio Pitingo was born in 1980 in Huelva, a city in Spain's southern Andalusia region. 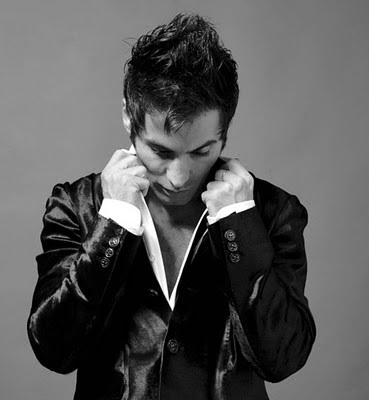 His love for flamenco comes from his family and friends, all of whom are from C?diz and Huelva. He sang as a child, but at age 14, began to take flamenco cante seriously, with his favorite forms being Fandango, Malague?a, Granaina, Solea and Buler?a. Among his favorite male flamenco singers (cantaores) are Caracol, Tom?s Pav?n, El Carbonerillo, El Sevillano, Camar?n de la Isla, and Enrique Morente. He began to sing professionally in 2004, yet his voice has a very old echo that comes from deep within him. He also has a tremendous affinity for old flamenco songs (cantes). He goes to the roots of the cantes, modifies and adapts them to his own voice, thereby transforming them into something more personal. His love for the cante of the golden years and the privilege of having a mind that truly understands the soul of flamenco music make him one of the genre's current stars. Испанский певец фламенко - Питинго. Антонио Питинго родился в 198о году в городе Уэльва , в южной части автономного сообщества Андалусия. Pandora was a female Mexican singing trio. The original line-up consisted of sisters Isabel Lascurain and Mayte Lascurain and their cousin Fernanda Meade. 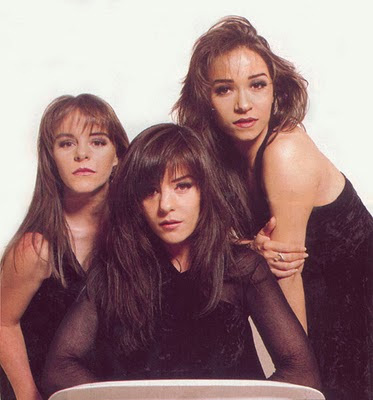 Meade left the group in May 1989 to pursue a solo career, returning to the group in 1997; during this time, her place was taken by Liliana Aboroa.Pandora's music can be classified as Latin Pop, though some of their later albums feature much more traditional Mexican composition. Pandora borrows heavily from other performers and songwriters. The trio has covered many songs of Juan Gabriel, Manuel Alejandro, and Hernaldo Zúñiga. These covers make up a large part of their performance repertoire.Their signature song is a composition by singer-songwriter Hernaldo Zúñiga titled "¿Cómo te va mi amor?" (Eng. : "How Are You, My Love?") which was recently included on the VH1 countdown of the 100 Best Songs of the 80s in Spanish at number 16. Pandora peaked at number one in the Billboard Hot Latin Tracks in 1993 with their rendition of "Without You", titled "Desde el Día Que Te Fuiste", taken from their cover album Ilegal. Pandora - "Matándome Suavemente" - " Killing Me Softly With His Song". Пели её не только испанцы, мексиканцы, но и немцы и поляки. 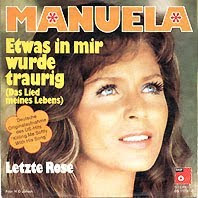 Manuela was a German composer, guitarist and singer. She worked first of all in a factory and later became a lead singer in many bands. She was discovered in 1962 in a Berlin nightclub. A year later she made the German cover-version "Blame it on the Bossa-Nova" (Eydie Gorme). She went to Hollywood to study English with actress Kim Novak. She made a come-back in the middle of the 80s with "Blame it on the Bossa-Nova", "Ich gehe noch zur Schule", "Schwimmen lernt man in See", "Schneeman", Küsse untern Regenbogen", "Monsieur Dupont", "Wenn es Nacht wird in Harlem", "Auf der Stufen zur Akropolis", "Seemann-Sailor" and "Wenn ich erst wieder Boden spür?". "Etwas in mir wurde traurig"- "Something inside me became sad". Anna Jantar-Kukulska, name at birth: Anna Maria Szmeterling, (b. June 10, 1950, Poznań – d. March 14, 1980, Warsaw) was a Polish singer and the mother to Natalia Kukulska. She was born in a Polish family of Jewish descent. 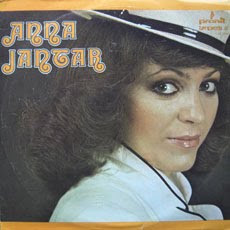 She debuted in 1973 at the Polish Song Festival in Opole with "Najtrudniejszy Pierwszy Krok". Her husband Jarosław Kukulski composed many of her songs that became hits. She died in a plane crash on March 14, 1980 near Okecie Airport in Warsaw. Трагически погибла в авиакатастрофе 14 марта 1980 года . Во Франции песня тоже была несказанно популярна благодаря знаменитому французскому певцу Gilbert Montagne. Gilbert Montagne (born 28 December,1951 in Paris) is a French musician, both a pianist and organist, as well as a singer. 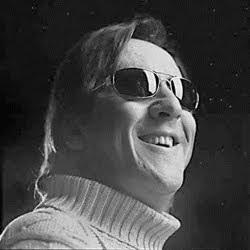 Blind from birth, he is best remembered for his international hit "The Fool", which was a number 1 single across Europe in 1971. In France he is still a popular albums and concert artist, having toured with the likes of Johnny Hallyday. Песня получила совершенно новое звучание в 1996 году , фактически - новую жизнь. 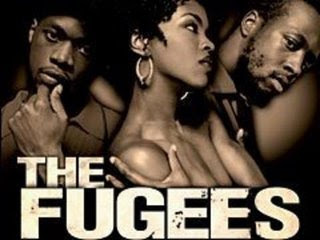 Hip hop group The Fugees covered the song in 1996 on their album The Score, with Lauryn Hill singing the lead vocals. 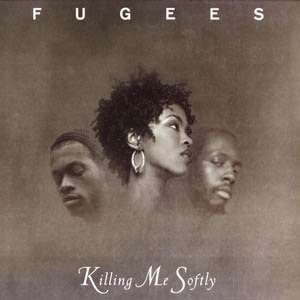 Their version, titled "Killing Me Softly," became a hit, reaching number two on the U.S. airplay chart, and had similar success in the UK, reaching number one, becoming 1996's best selling single in the country. И вот как она совсем недавно прозвучала в исполнении певицы, о которой весь прошедший год судачили во всех уголках Земного шара. Уф ... если честно - умаялась. там - множество вариантов этой песни.